An outlier is typically something that is set apart, unique and causes people to turn their heads, this new bag from BiKASE does just that! 1. The Outlier backpack features a separate padded computer compartment with duel zippers to keep your computer well protected and away from the main storage compartment to maximize storage space. Fits up to a 17″ computer. 2. Small front zipper pocket for items such as an energy bar, multi-tool, flat kit, road bike tubes, cell phone, etc. 3. Larger front duel zipper pocket with divider fits such items as pens/pencils, note book, Co2 cartridges, etc.! 4. 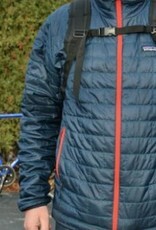 The reflective webbing on the outside of the large front zipper pocket will hold a ULOCK. 5. The front sock cords with metal hooks will hold a helmet once your ride is completed! 6. There are 2 mesh side pockets for easy access to small items or a water bottle. 7. 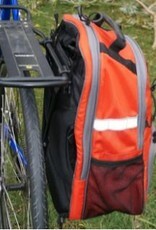 Tab on the bottom of bag will fit any size or style rear light. 8. A yellow rain cover is in a hidden pocket on the bottom side of bag for better viability and features the stylish BiKASE logo! 9. Top handle for good grip when carrying the Outlier or installing it as a pannier bag! 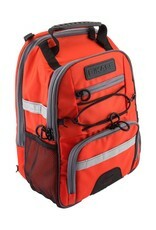 Backpack straps are connected using d-rings and can be easily disconnected and stuffed into the back pocket when not in use. Chest strap adds additional comfort and fit. 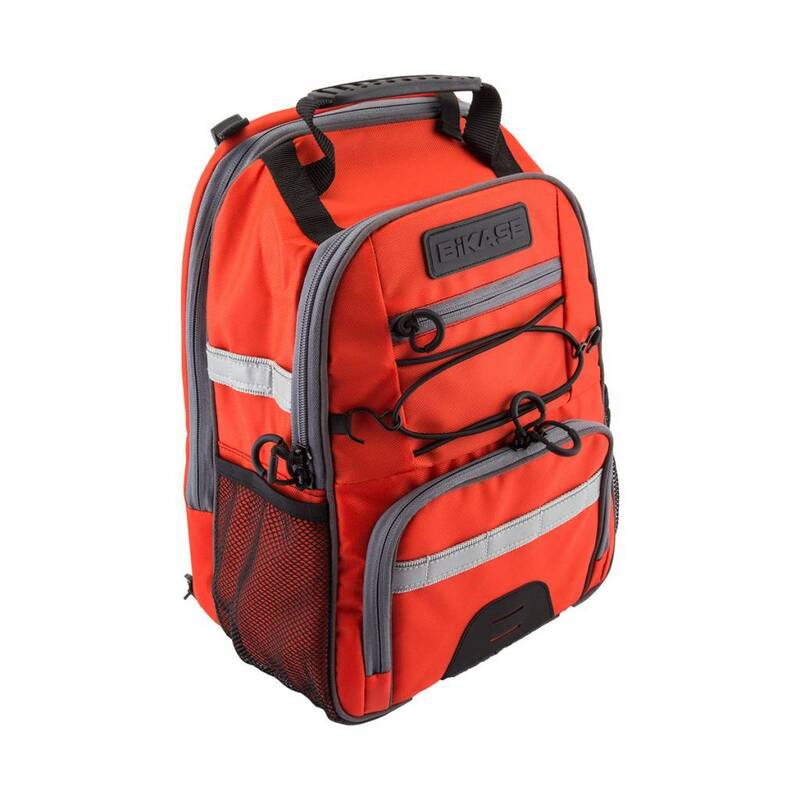 Disconnect backpack straps from D-rings and hide in back pocket, connecting the pannier clip to the back of the bag keeps the pannier clips secure while riding. 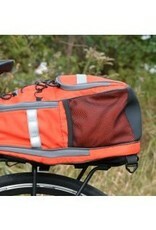 Simply pull out the hook from the middle of the back pouch to hook on the bottom of rack when installing pannier. There are 3 Velcro straps used for the Trunk bag. Simply pull the straps out of the back pouch, wrap them around the underside of the rear rack and tighten as needed. * Note: it is best to install the straps around the braces on rack for most secure fit.